Sold by Sofia+Sam and Fulfilled by Amazon. Gift-wrap available. 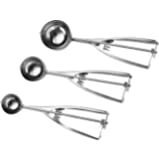 Amazon's Choice for "disher scoop"
Sold by Sofia+Sam and ships from Amazon Fulfillment. 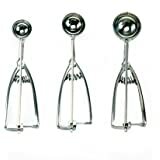 The Internet’s Best Stainless Steel Scoops gives you professional grade cooking tools for making your favorite recipes. The 18/8 stainless steel is one of the highest grades steels insuring these will last for years to come. 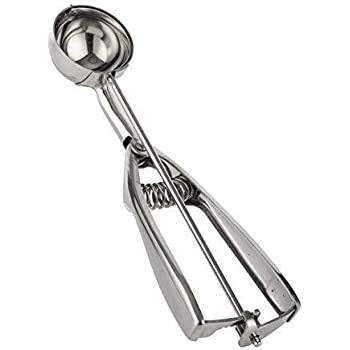 Perfect for scooping out ice cream or measuring out dough for making cookies. 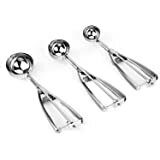 These can also be used for making balls of melon for fruit salads and garnishes. 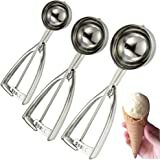 Great heavy duty Steel Ice Cream Scoops of 4 various sizes...perfect for everyone's kitchen. I bought this set as I gave my older set to my son for his new home. 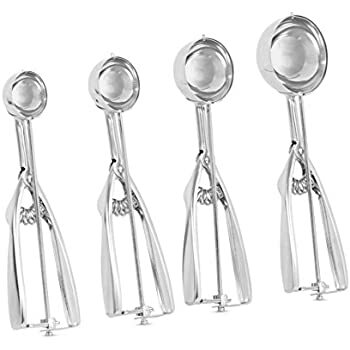 These scoops help make the appearance of foods look better when serving and/or prepping. 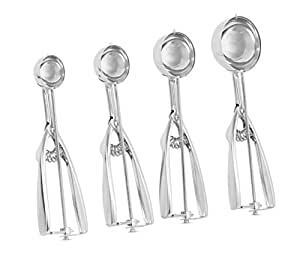 I use the small one for plating sour cream or butter etc. 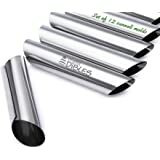 It is also a perfect size for regular sized meat balls when preparing or portioning. The next size up is a great size for cookies or the equivalent of one scrambled egg or a smaller scoop of potatoes/rice for my grandchild. 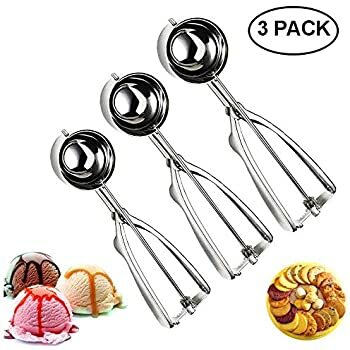 The third size up is the size you usually consider for ice cream and it is great to scoop of batter for cupcakes & muffins or a large cookie. 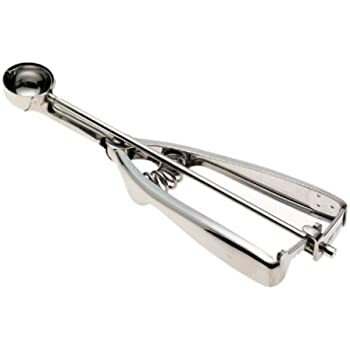 The last scoop, is much wider and is great for serving potato or chicken salad on a plate. I find I use these scoops for everything...to prep or plate foods but rarely use as ice cream scoops except for the 2 smaller scoops which I use for sorbet or gelato. 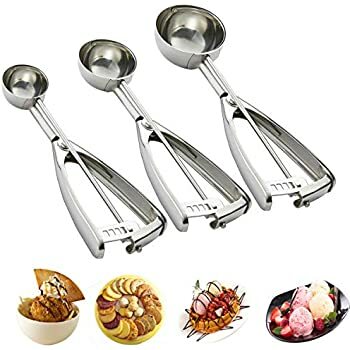 Heavy duty scoops. I hope they last as long as the ones I gave my son as they feel they are sturdy and thus far have worked well for what I've bought them for. I've only used these a few times, but I've already broken 2 of them. If you're scooping anything tougher than warm cookie dough it's easy for the gears to slip and leave the swiping arm useless. Find another, sturdier scoop that'll last longer. At home for cookies mostly. Very well made. strong spring for good release, and teeth and grooves in gear operate very smooth and fit nice and snug. 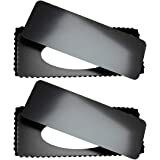 When you are making 1500 cookies over a weekend you want sturdy equipment, These suit the job well. 5.0 out of 5 starsGreat quality!!!!!!!! 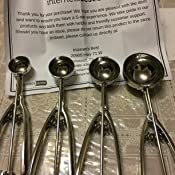 I got today this set of scoops......well quality, and finish ,feels very heavy stainless steel ....super happy with all of them i will recommend this product. Doesnt come in a fancy gift box with a Plush bag like others but who cares about that the important thing is the quality of the product. 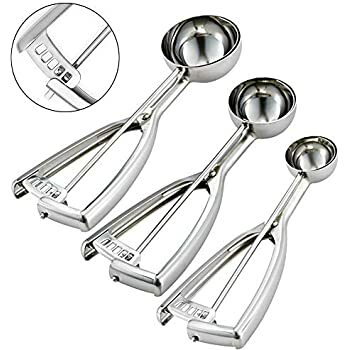 I bought this in order to use to place a scoop of blueberry muffin mix into baking cups. I make 2 dozen muffins at a time and it has cut the time in half from how I was doing it before. The extra large size is perfect. My kids have already dropped it twice on our kitchen tile floor without damaging or even putting a dent in it. I would definitely buy it again. Love the set. 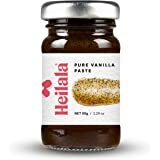 We at using it to portion out batter for our protein muffins and other baked delicacies. 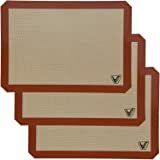 They are very sturdy, easy to clean, and of high quality. We use these commercially so they need to be good. They are! 5.0 out of 5 starsAwesome for cookies! This is the perfect sized scoop for getting tablespoon sized cookies. 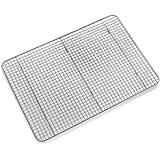 My sister and I baked over a thousand cookies in several different types and this held up for all of it, and worked phenomenally. My one complaint (and hers) was that it would've been nice if there was something to keep the grip a little softer because after a while we both got blisters, but considering it was that many cookies in two days I guess it was to be expected. 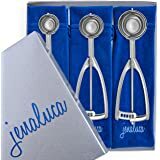 Still awesome product absolutely would recommend it! 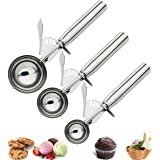 5.0 out of 5 starsPerfect for cupcakes! 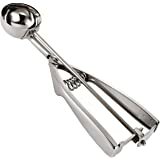 This is exactly what I was looking for to use to scoop cake batter into muffin tins and make cupcakes. Its perfect and makes them all even!